Have a goal in mind? Want to work your way up to running the South Padre Island Marathon or Half Marathon this November? Even if you are not an avid exerciser now, you have time to train! Our team is here to help you not only improve your body and mind, but to assist you in accomplishing your goals. Below are three steps you need to take to increase your exercise routine and work your way up to a run. Anyone with health issues, especially if over the age of 50, should get medical clearance from a doctor. If your ultimate goal is to run the South Padre Island Marathon or Half Marathon, set smaller goals from now until November that will get you to that point. Here are some examples of those goals. Don’t go too hard at the beginning. Take it slow and work your way up. Check your heart rate or pulse to measure the intensity of your workout. You want to develop new habits that you can stick with. Understanding the various definitions in heath and fitness will help you understand how you are training your body. –Warm Up: Preparing your body for exercise; movement to increase your heart rate from it’s normal state. -Stretching: This will help enhance your range of motion. It is important to stretch your body before and after a workout. -Aerobic/Cardiovascular Activity: This is where fast-paced activity comes into play. These are exercises that speed up your breathing and heart rate. This can include running, cycling, swimming, walking, etc. -Strength Training: This is centered on building and strengthening your muscles. Weight lifting or body lifting exercises fall under this category. Exercises like push-ups are considered resistance training. -Set: Is the repetition of the same exercise a certain number of times. For example, you may do 10 squats, rest and do 10 squats again. -Rep: The number of times you perform a set. For example, perform three reps of those ten squats. -Cool Down: The time to bring your breathe and heart rate to a normal level. Walking or stretching are good ways to cool down. Look over items you may need to start your fitness journey. Do you need new running shoes, free weights or exercise DVDs? 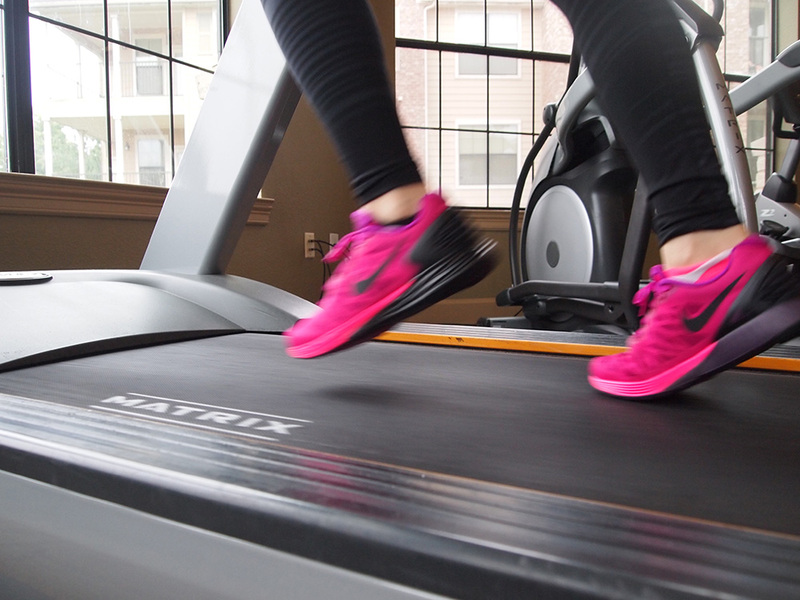 Consider the benefits of joining a gym or research running trails located in your city. Purchase what you may need and get active! Start slow and focus on what you’re physically capable of. Find an activity that you enjoy doing and consistently do it. Getting out the door may be hard at first, but understand the benefit it is having on your body. Once you start exercising on a regular basis, you will notice you have a surprising boost of energy, are in a better mood and may be sleeping better. The Mayo Clinic provides a list of several other benefits of exercising! Think you will be ready? We know you will! Click here to register for the South Padre Island Marathon.